How do I qualify to play? As long as you CANNOT play stand-up basketball, then you are eligible to join our team. 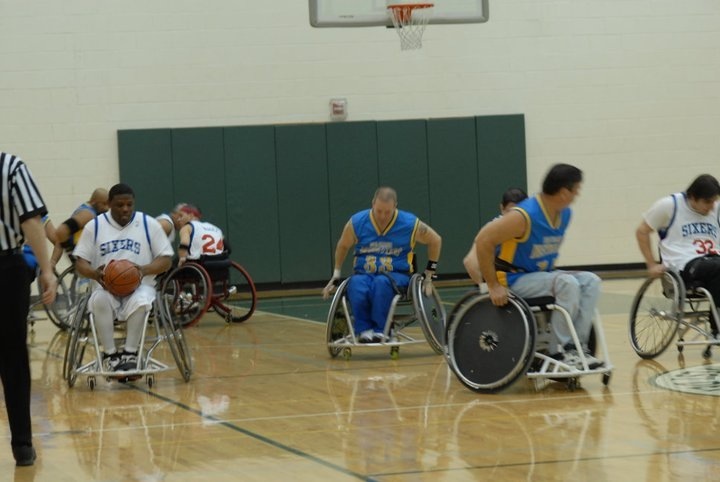 Whether you have a disability or a knee injury, if it prevents you from playing stand-up basketball, then satisfy your athletic drive by joining the Delaware Destroyers. You can do it… you’ll just do it differently. Season runs October 1st – March with practice held throughout the year.